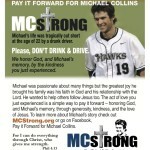 Print your own Pay It Forward for Michael Collins cards right here! 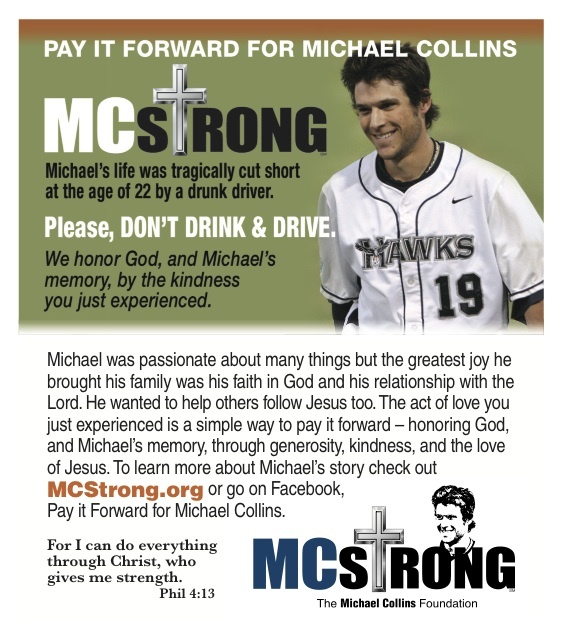 Please use the link below to spread the word – honoring God and Michael’s memory. If you prefer to have some cards sent to you, or pick them up, please send an email to Jeff Collins at angels10coach@aol.com. The Foundation thanks you for the support!